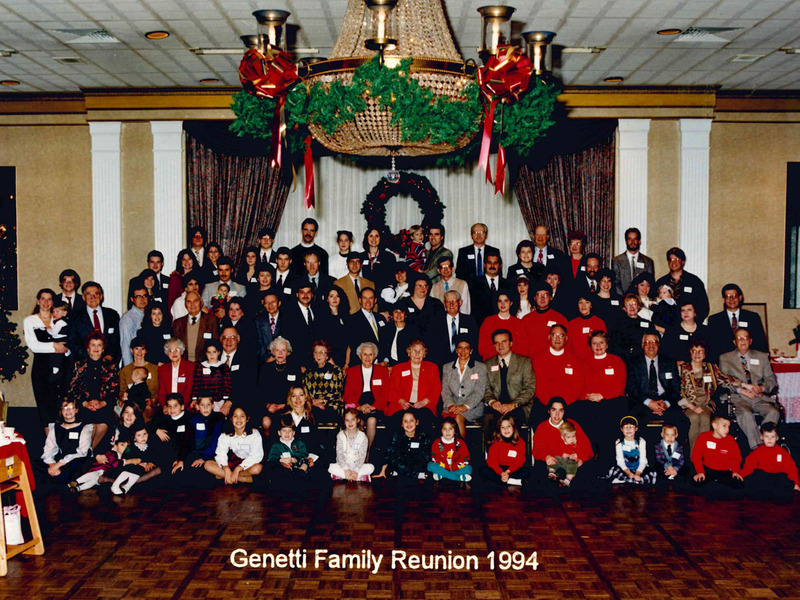 Now back to the reunion – for our Saturday evening presentation, I’ve chosen the theme: The Genetti Family of Castelfondo: Our Journey to America. Beginning in the 1870’s, our Genetti ancestors made the long, arduous journey from the Alpine mountains of Tyrol to the shores of America. Why did they leave their village of Castelfondo? Where did they establish roots in the United States? How did they seek their fortunes in a strange land? Find the answers to these questions, and much more as we explore the individual branches of the Genetti family in America. Our presentation will focus on the first family ancestors to arrive in the United States. Learn when they immigrated and where they settled (Pennsylvania, Wyoming, Illinois, Michigan, etc.). Plus we’ll share: stories newly discovered through joint family research; how different branches of the Genetti family are related; and where their descendants are today. We’ll take a closer look at three siblings: Damiano Genetti, Rafaele Genetti and Angeline Maddalena Genetti Recla. Recent investigation of public documents, along with personal research by several family members, has revealed much about their intertwined lives. The siblings were a great support to each other, working to establish thriving family businesses in Pennsylvania. Come listen to the fascinating stories of the Genetti family from Castelfondo. Your participation and input is welcomed! To print a Reunion reservation form, just click here! I see bill gave you one of the pictures of a reunion. Do you have the names of the people. I have photos that were taken earlier and. I’m having them copied and will send them very soon Looking forward to seeing you in Oct.
Hi Jean, thanks for leaving a comment on this blog post. I know some of the people in the photo, but not everyone. Yes, I would love to see past reunion photos and will add these to our reunion page. Thanks for making the copies! See you in October!